We are house/pet sitting in Mt Crosby. There are 2 terriers and 3 chooks on 3 acres. From here we travel to Collingwood Park. On arrival the home owners were talking about the dogs pool. 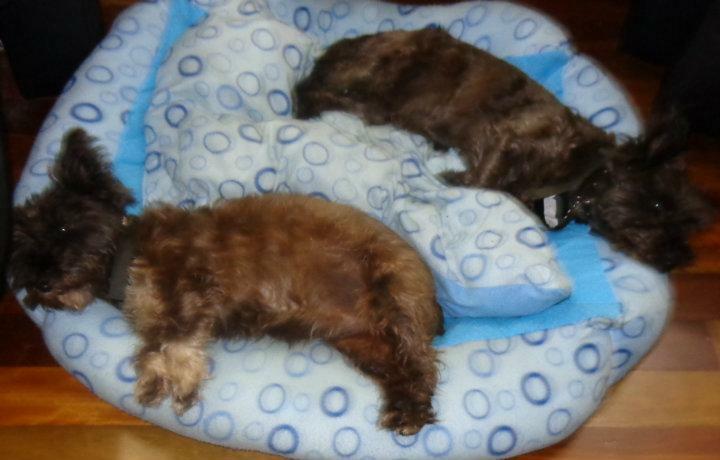 The picture shows them in their "pool", dogbed blue and white with bubbles.